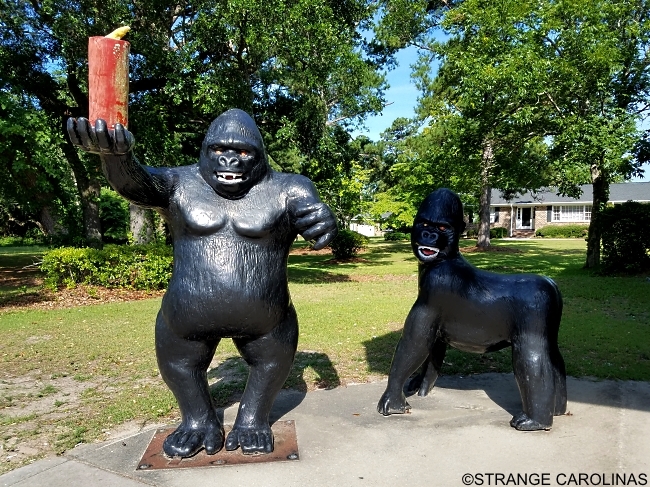 These guys can be found behind the State Line Fireworks store right after you get into South Carolina. I love them because they look like they're up to no good. Judging by how the one on all fours looks, I think he's had a firecracker explode on him a time or two.